New Year’s resolutions can seem like chores. Thinking about our resolutions can seem like climbing a mountain with a couch on your back. But there’s on resolution you can make that’s both easy to do, and enjoyable. Massage has a long history of helping people relieve stress, and few things are as stressful as the prospect of giving birth. That’s why a maternity massage can be so useful for expectant mothers. If you’re curious about getting a maternity massage in Philadelphia, read on to find out some of the benefits. It’s something the owners of any reputable Philadelphia spa will tell you: there’s a lot to be gained from undergoing dry skin brushing on your spa day. This practice, also known simply as “dry brushing,” is what is sounds like: scrubbing your dry skin with a brush. 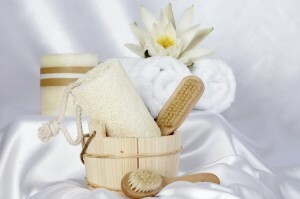 Here are a few reasons you should consider dry brushing on your spa day. Your lymphatic system has important job: eliminating cellular waste products. When it’s not working, waste and toxins collect in your body and make you sick. Dry brushing stimulates this system and helps release toxins. Playing a sport can be invigorating. It can also be exhausting. Even if you’re not injured, your body needs to recover from that level of exertion. That’s where a sports massage can help. A proper sports massage can reduce muscle tension, help you monitor your muscle tone, promote relaxation, improve your performance and even prevent injuries. Let’s take a closer look at some of the benefits of a sports massage, both on the body and on the mind. It’s hard to imagine getting a massage that wasn’t relaxing. Still, getting the most out of your massage is a two-way street. Your massage therapist needs to do their job, but you have steps you can take as well. While it’s a good idea to drink plenty of water after a massage to flush away toxins, it’s also important to drink water before your massage as well. The massage pushes lactic acid into your blood stream. Water helps your blood flow and moves theses toxins away. Let the therapist know about any trouble spots: a bad knee from running, sore back from work, etc. We need to know your needs and expectations. When you’re on the table, don’t be afraid to let your therapist know when a technique is working, or if it’s just not working. And if you’re not sure about something, ask questions. It’s summertime! Time to kick back and relax! What’s that? You’re don’t feel chilled out? A lot of us hibernate in winter, but when summer comes, you have more opportunities – and fewer excuses – to get out and exercise, and more chances for soreness. It could be biking or swimming or a round of golf, you still might strain something no matter how much you stretch. A massage will lower inflammation and help you muscles stay limber. We realize that you’re probably stressed in the winter and fall too, but summer brings stresses of its own, from vacations to having to keep school-aged kids occupied. When you get a massage, your body releases endorphins and dopamine, which make you feel better. Spring has sprung, but have you? The weather may be warmer, but your body may still be in winter hibernation mode. If you’re ready for outdoor activities, you may want to consider a massage at our spa in Philadelphia before you resume exercising. Here are a few ways getting massages can help you with your springtime workout routine. Tell us if this sounds familiar: You exercise muscles that have spent all winter on the couch. The next day, you feel like you were hit by a stampede. A massage can help alleviate that soreness. A massage keeps your circulatory system in good working order, delivering all-important oxygen to your body to help fuel a vigorous workout. Thinking About a Facial ? Are you thinking about having a facial at Body Restoration Spa? If you’ve had facials before, please note that we take the Skin Care Profile very seriously. It means that you would need to complete this client consultation form which is two sided. We recommend you ask for this facial form and take it home and complete it. It asks questions like, “What time of day do you see an oily shine come out on your skin?” Or, “how much plain water do you drink a day?” There are lifestyle questions, exfoliation questions, allergies, etc. Complete the form when you are comfortable and not rushed so that your answers are as accurate as can be. Bring the form with you to your appointment. It beats coming for a facial and having to sit and rush through the form in order to start the service on time. These questions are taken into account when deciding what skin type you have, what skin condition you may have, special challenges on your skin that you would like us to address, how much steam is appropriate, any prescriptions you are using that may affect your skin, etc. Make the most of your facial appointment by completing the form ahead of time. You can print it from our web site by clicking here. Spring is the perfect time of year to renew your skin with a spa facial. Put your best foot forward with a relaxing professional exfoliation and prepare for the warm weather to come. 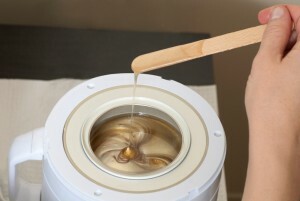 Depending on your skin profile, we will create a facial experience that will rejuvenate and soothe your skin. Contact us today by phone or through our website to schedule your appointment. Posted on January 12, 2016 March 22, 2016 Author bodyrestCategories Body Restoration, FacialsTags exfoliation, facial, skin care, spa facialLeave a comment on Thinking About a Facial ?